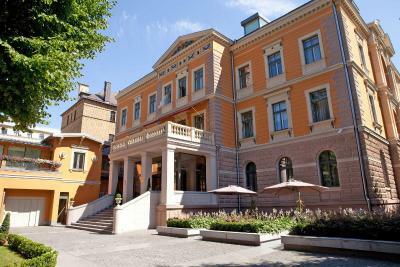 Lock in a great price for Gallery Park Hotel & SPA, a Châteaux & Hôtels Collection – rated 8.9 by recent guests! The staff were absolutely outstanding. Every facet of our interaction from check-in, check-out, breakfast...restaurant recommendations was absolutely outstanding. The rooms were immaculate as were all public areas. The wi-if was flawless. Good garage service under the hotel building. Music was played in garage when i parked my car. 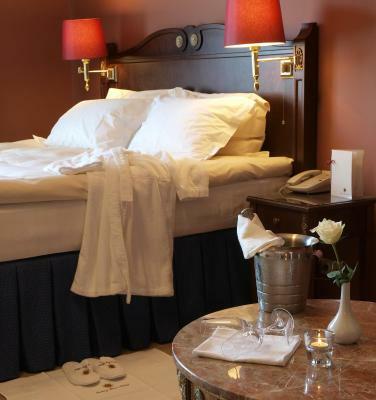 Efficient services and very comfortable beds. Ordered to wake me up at 7 and they brought me coffee with wake up. Good option for morning meetings you can have breakfast in separate room. Location were perfect, easy walk to everywhere. Staff was really friendly and helpful what ever we had. Building itself were really nice and historical and really pretty. Room it self were good, but nothing super special. Bathroom was good and updated nicely with big tub. Good basic hotel with great location. Can recommend hotel even there is some minus as well. Very friendly place to stay. The staff was the best! Breakfast very good with lots of choices. The bed excellent. 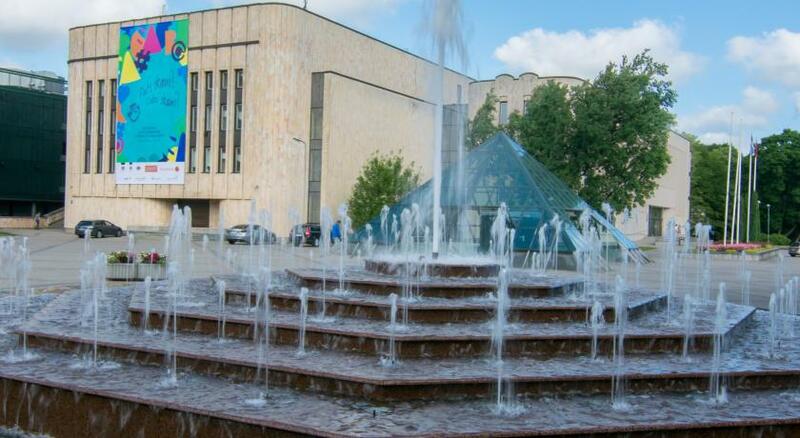 It is quiet and relaxing place, very clean, warm and cosy. The bed, bathroom and services were all excellent. 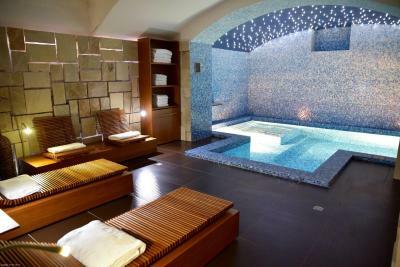 Spa is great as well. 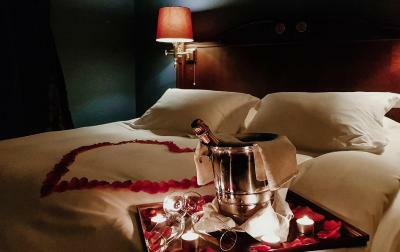 Overall, a great hotel for a romantic getaway. 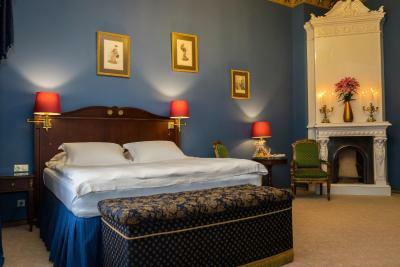 Nice big room, quiet place with lovely staff. Thanks! 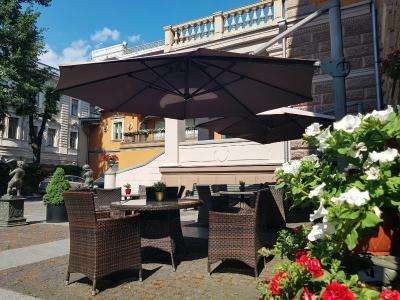 Gallery Park Hotel & SPA, a Châteaux & Hôtels Collection This rating is a reflection of how the property compares to the industry standard when it comes to price, facilities and services available. It's based on a self-evaluation by the property. Use this rating to help choose your stay! 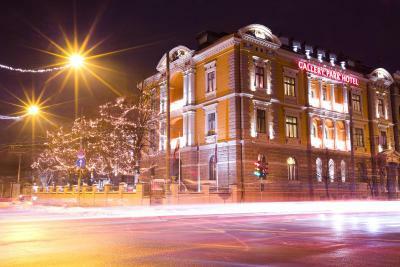 Gallery Park Hotel & SPA is a boutique 5-star hotel located in the historic center of Riga next to the Old town and Art-Nouveau district, as well as international embassies. 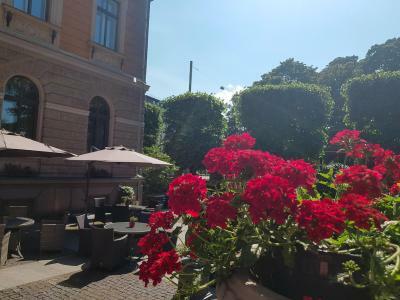 The hotel is housed in the 19th century mansion, offering Gallery Spa with a swimming pool, sauna and fitness room as well as on-site secured underground parking, free Wi-Fi throughout the property and 24-hour Room-service. 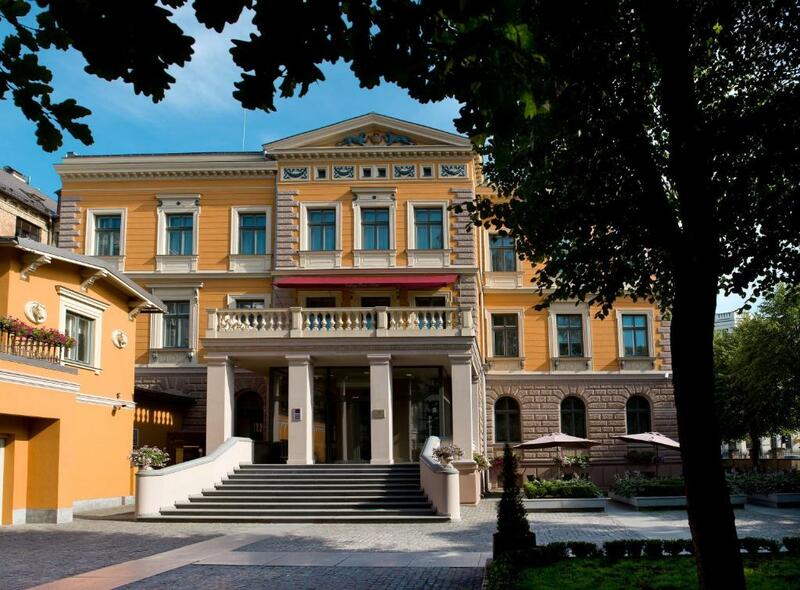 Elegantly decorated guest rooms with French antique furniture or in contemporary style offer grand views of Latvian National Museum of Art and Riga’s parks and monuments. All rooms feature bathrooms with heated floors, complemented with Bulgari and Thalgo toiletries, Frette thick terry cotton bathrobes and slippers as well as down duvets and pillows. 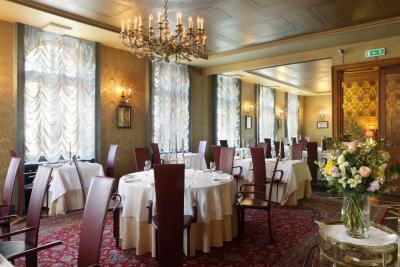 Gastronomic restaurant Renommé offers Latvian contemporary and classic dishes using local regional ingredients. Private dining rooms for meetings and special occasions are available upon request. When weather allows, a summer terrace in the private garden is open. 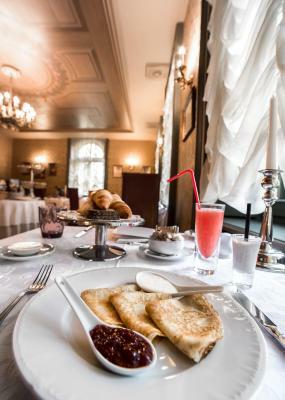 For guests’ convenience, A La'Carte breakfast is freshly cooked upon Guest’s personal tastes. Bar X.O. offers a variety of drinks, cocktails and snacks 24/7. The Gallery Spa offers a variety of treatments using Carita and Thalgo products. 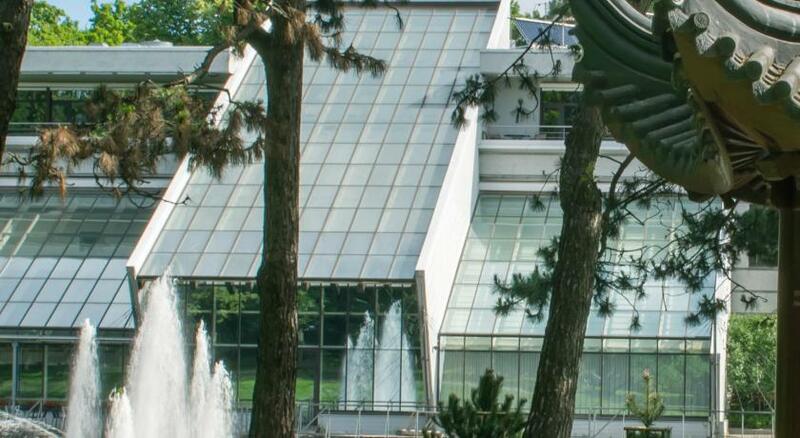 Other facilities include a pool with jet-stream and waterfall, a sauna and a fitness room with Technogym equipment. Multilingual and professional staff will try to fulfill guest’s needs. 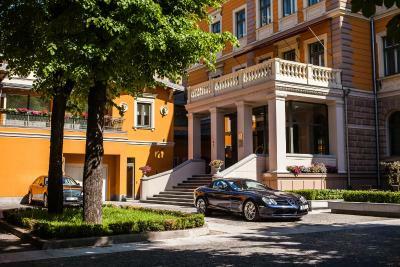 Twice-daily Housekeeping service including Turn Down service is provided and additional Mercedes S-class fleet and chauffeur service is available upon request. 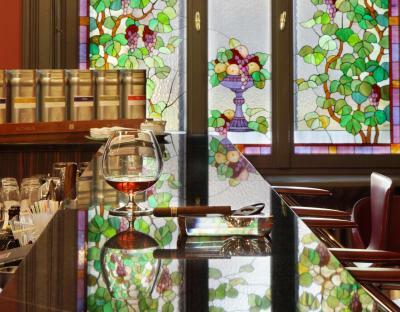 When would you like to stay at Gallery Park Hotel & SPA, a Châteaux & Hôtels Collection? 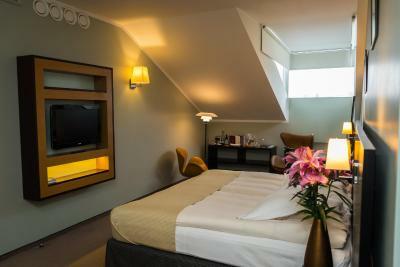 Air-conditioned room with a view to the hotel’s private garden, a bathroom with heated floors and bathrobes, slippers, as well as SPA Ritual toiletries. 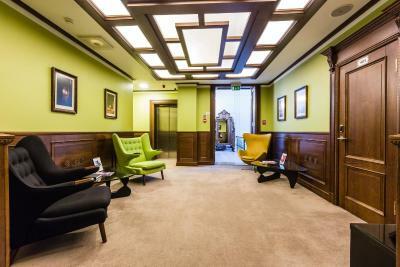 There is also complimentary Wi-Fi and PayTV. Please note that extra beds cannot be provided in this room type. 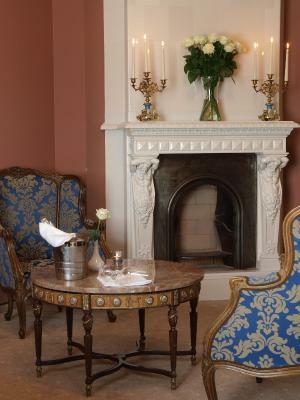 This suite is located on the second floor and overlooks Esplanade Park. 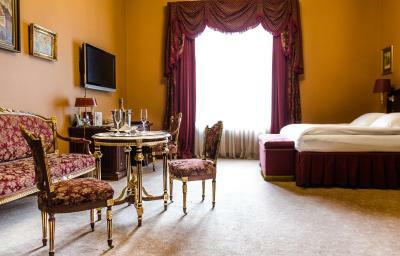 The suite consists of a bedroom, living room and a business room. 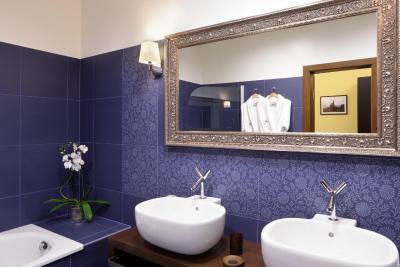 A bathroom, fitted with a shower, and another bathroom, fitted with a bath, as well as two toilets are offered to guests. Bathrobes are offered and the bathrooms feature heated floors. 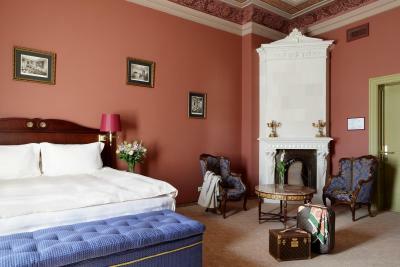 The suite features hand painted high ceilings and antique decor. 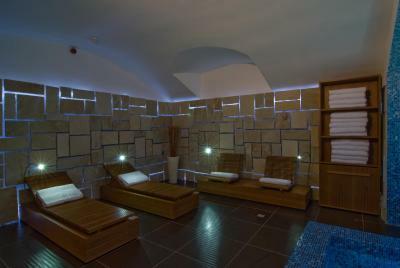 Guests have complimentary access to the sauna, jet-stream swimming pool and gym. 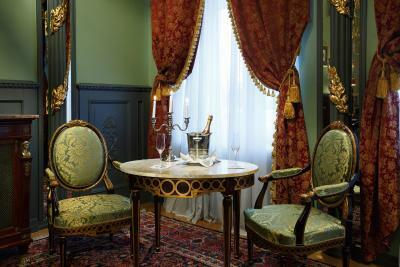 Air-conditioned suite in late 19th century style, decorated with leather, collectible art objects and antiques. 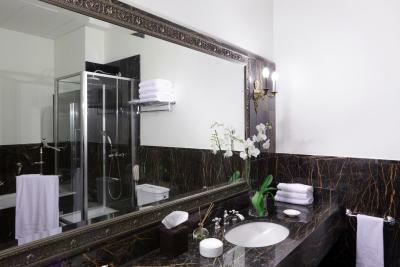 There is a spacious marble bathroom with BVLGARI toiletries, bathrobes and slippers. 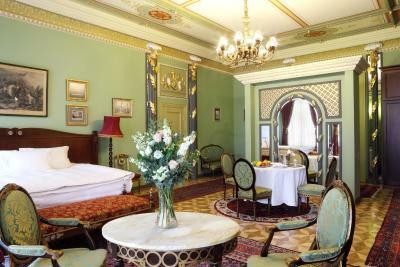 An air-conditioned room, with décor inspired by the Napoleon III style, with leather, velvet and gold elements, embroideries, antiques and Persian carpet. 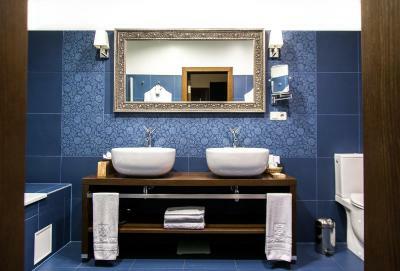 There is a large marble bathroom with bathrobes, slippers and toiletries, as well as a private terrace with the view of the hotel’s private garden and the Kronvalda Park. One way airport transfer is included in room rate. 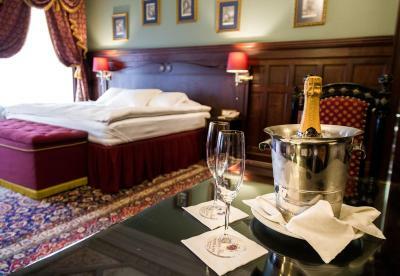 An optional connecting Superior Room can be booked. 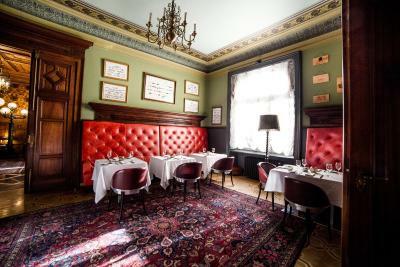 The rooms on the second and third floors feature elegant late 19th-century style, whereas the fourth-floor rooms strike a distinctly contemporary note. 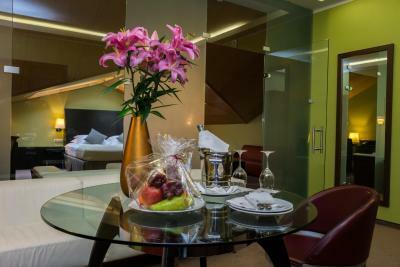 The Gallery Deluxe Rooms provide views of Esplanade Park and the The Latvian National Museum of Art. 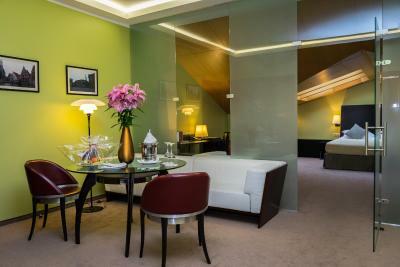 Air-conditioned room featuring contemporary or classic design and Italian furniture. 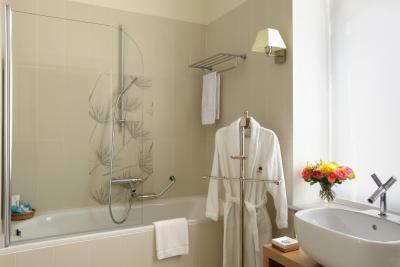 The bathroom comes with heated floors and frette bathrobes, slippers as well as SPA Ritual toiletries. 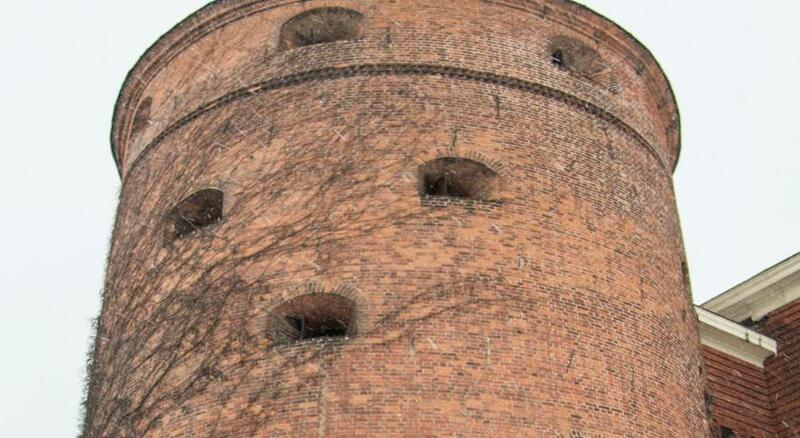 There are roof windows with sky view too. An air-conditioned suite decorated in contemporary style, and featuring artisanal Italian furniture and roof windows with sky view. There are Frette linen and bathrobes and a spacious bathroom with heated floors and SPA Ritual facilities, bathrobes and slippers. Two-Bedroom Family Suites feature unique design and interior, inspired by the nineteenth century, including hand-painted ceiling. 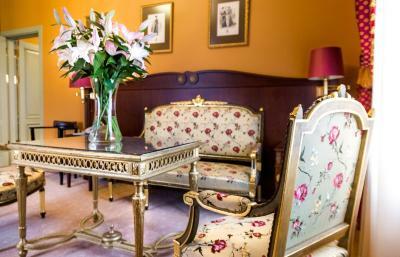 The suite consists of two bedrooms, a living room and an additional guest toilet. 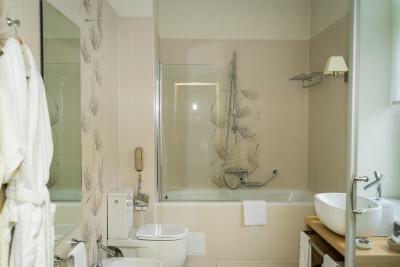 Bathroom comes with a bathtub and shower, slippers, toiletries and bathrobes. 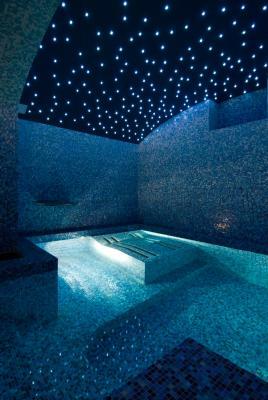 Guests receive complimentary access to the sauna, jet-stream swimming pool and gym. 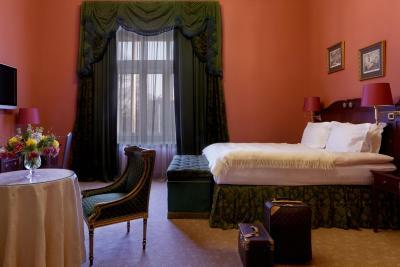 This triple room features a seating area and mini-bar. Bathroom comes with a bathtub, slippers, toiletries and bathrobes. 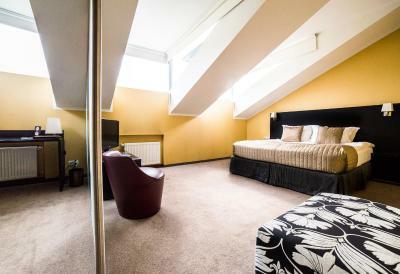 This triple room has a mini-bar and seating area. Bathroom comes with a bathtub and shower, slippers, toiletries and bathrobes. This family room features two bedrooms and two bathrooms, featuring heated floors and free Frette bathrobes, slippers and toiletries. The room features roof windows with sky view. Please note that extra beds cannot be provided in this room. 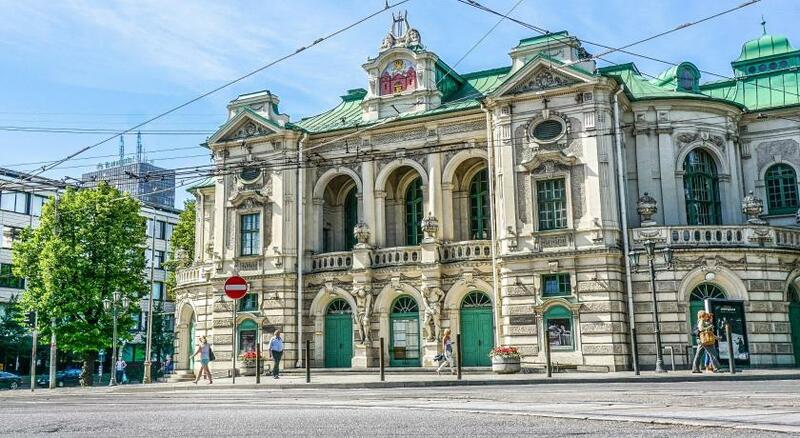 Hotel is a landmark built in 1875 building, perfectly positioned in historic Art Nouveau area in Riga- 300 m to Old Town and 5 min to the largest concert venue hall in Riga- “Arena Riga”. The newly renovated grand building of Latvian National Museum of Art is just across the street facing the Hotel Guest rooms. 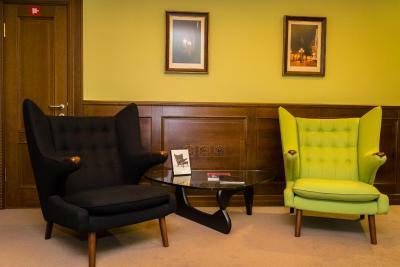 Extended art collection and elegant, inspiring antique design elements makes the Hotel to stand above the rest 5-star hotels in Riga when it comes to quality and service. 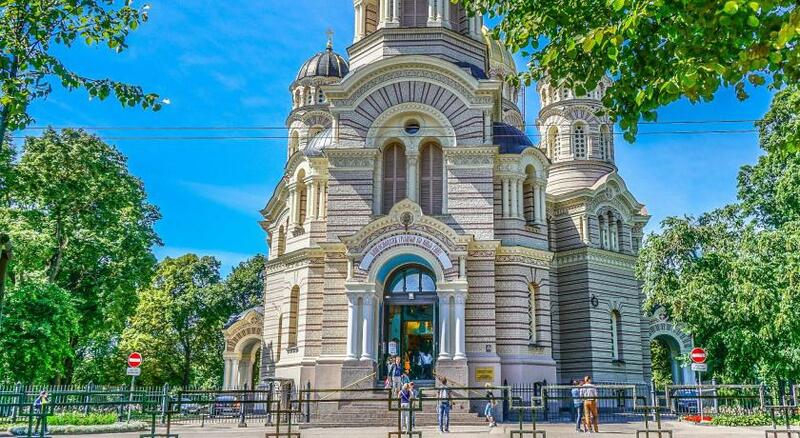 From the Guest room windows Guests enjoy Riga’s historic and grand views of City’s main parks and monuments. 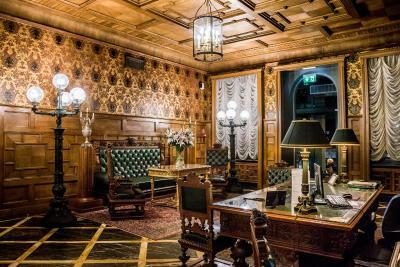 The Hotel is highly recommended by it’s Guests on Tripadvisor. 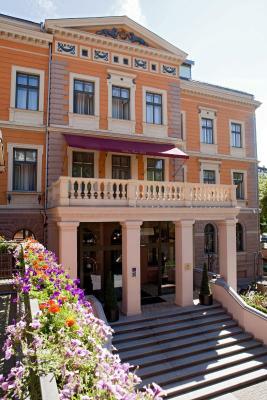 Awarded for 3 consecutive years the “Best Suites In Latvia” by World Hotels. 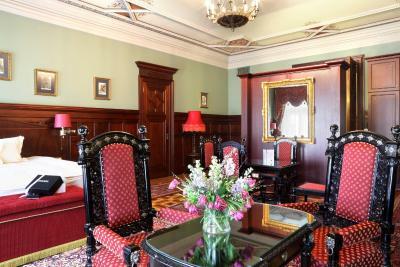 The Palatial ambience of the Hotel makes our guests feel like Kings & Queens. The Hotel’s inner courtyard makes the Guests feel as they are in the private residence. 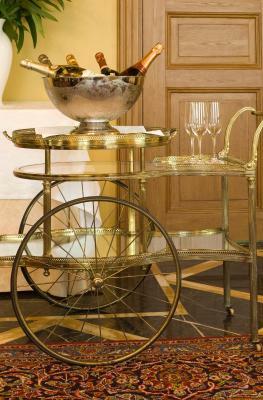 House Rules Gallery Park Hotel & SPA, a Châteaux & Hôtels Collection takes special requests – add in the next step! 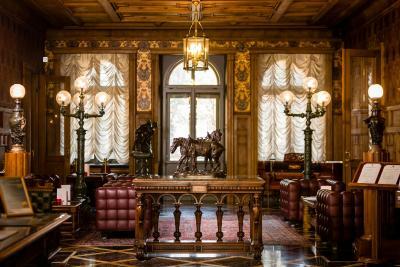 Gallery Park Hotel &amp; SPA, a Châteaux &amp; Hôtels Collection accepts these cards and reserves the right to temporarily hold an amount prior to arrival. 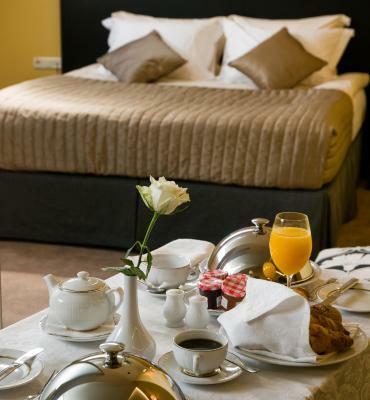 Gallery Park Hotel & SPA, a Châteaux & Hôtels Collection accepts these cards and reserves the right to temporarily hold an amount prior to arrival. Hypoallergenic duvets and pillows are available upon request. Breakfast was okay, but not good as expected. Car parking was quite expensive, but at least it was safe for car. Spa side was bit disappointing, pool was cold. Sauna was good. Billows were too flat for me, even bed itself were comfy. Unfortunately it’s easy to hear everything from other rooms (like basic talking). The sauna/ the pool / the work out area great as long as you were only two persons. Especially the sauna could have been a little bigger. On the other side, perfect as long as one is down there alone, very relaxing opportunity after a long days walk in the cold winds in february. Heating in the room did not manage to warm the place up. The hotel is very welcoming, and comfortable - plus looks great. 2 single beds pushed together pretending to be double. 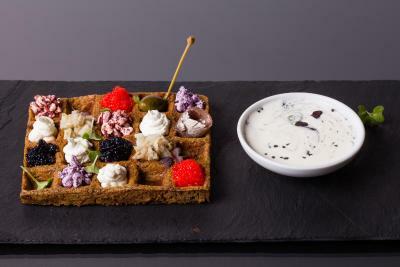 Breakfast quality could be improved in comparison with other cheaper alternatives in Riga. My room was on the top floor with small window.